Lawyers should pay attention to a recent highly comprehensive report commissioned by international law firm Clifford Chance when it comes to advising corporate and commercial clients. A global survey conducted by the Economist Intelligence Unit, which canvassed the views of 320 board members of companies with over half a billion dollars in annual revenue about their perspective on current business risks, revealed that 80% of those in Asia Pacific view reputational damage to be the most important over the next two years. As Asia Pacific companies become more prominent regional and global players, protecting their reputation will be even more important, says the report entitled, View From The Top: a board-level perspective on current business risks. Clifford Chance’s Sydney partner and head of corporate Danny Simmons told NZ Lawyer's sister publication Australasian Lawyer that the survey is important and timely in Australasia. 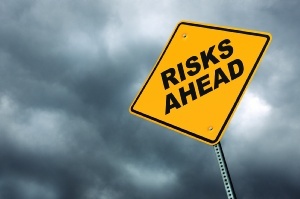 Businesses are operating in an environment of traditional risks as well as new and emerging risks, and boards have recognised this increased exposure. Of the Asia Pacific respondents, 43% of cite a significant increase in the board’s time spent on risk management and 55% say they’ve seen a significant increase in financial investment. However, the danger that comes with recognition of these latest risks is that it can create a culture of fear at boardroom level and stifle corporate growth. He says the report is valuable because it has highlighted a number of new risks that lawyers should be aware of when it comes to advising clients. A factor that hadn’t previously been identified is data and cyber risk, he says. And as well as affecting clients, this can have a huge impact on law firms themselves. Simmons believes that many companies who have yet to deal with a cyber-issue are probably not on top of a risk mitigation plan for it yet, and should be. Diana Chang, the Sydney head of litigation at Clifford Chance, says the concerning result about this particular part of the report is that while data and cyber reputational risk is very high, those surveyed didn’t recognise it as important. It’s a must for firms to advise their clients about cyber risk and put a mitigation plan into action for their own firm, she says. This includes identifying what might be the impact if data was compromised, getting an understanding of what is being done to minimise the risk and making sure the appropriate people are tasked with those roles. The emergence of social media has also been a major game changer, says Simmons. The speed at which any significant or insignificant incident in relation to a company can spread around the world is sometimes only a matter of minutes. Greater concern about bribery. 30% of Asia Pacific respondents are significantly concerned about bribery/corruption, a much higher percentage than their US counterparts with 13% and Europe with 16%. Managing risks across borders continues to be a challenge. 65% of Asia Pacific respondents agreed that ensuring a uniform approach to managing risk is made more difficult by the cultural differences that exist across an organisation's international operations. This is in line with the global figure of 64%. Companies are concerned about political interference in their business, such as the blocking of takeovers, expropriation of property or change in legislation to protect domestic interests, all of which can severely impact companies. Although globally, the US is viewed as exerting the most interference (57%), followed by Russia (46%), the picture is very different for Asia Pacific respondents, who view China as the most meddlesome (55%), followed by the US (48%), Russia (46%) and India (45%).